Days after the Whanganui River was identified as living being in New Zealand, Uttarakhand's high court ruled in favour of granting the two rivers — Ganga and Yamuna — status as living persons. The bench of justices Rajeev Sharma and Alok Singh hearing a related case ruled the rivers "legal and living entities, having the status of a legal person with all corresponding rights, duties and liabilities of a living person", and the director general of Namami Gange project and the chief secretary and advocate general of Uttarakhand as the legal guardians of the rivers on March 20. The state government raised concerns that the high court ruling did not consider other states where the river flows, and hence it was outside the judicial limits of the state court. 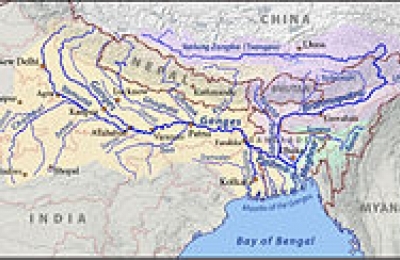 The river passes through the states of Uttar Pradesh, Bihar, Jharkhand, and West Bengal, as well as through Bangladesh. "Since the matter of cleaning the Ganga is not just restricted to Uttarakhand, as it also flows through West Bengal, how could the Chief Secretary and the Advocate General tackle all the issues related to the river", Uttarakhand state government spokesperson Madan Kaushik said. Granting status as a living entity would also mean the river could be sued like other citizens. The State government explained, using the example of flooding, that the "legal guardians" or the state may not be able to support financially the harm caused by the river to others. Those rivers originate from Gangotri and Yamnotri glaciers, and are considered sacred in Hinduism. Ganga is also referred to as maa (mother). But, these rivers are among the most polluted rivers on Earth. The previous ruling of the high court could provide legal grounds to prevent industries from harming the "living entities" by disposing of toxic wastes in the rivers. In the plea, the government said, "only to protect the faith of society, the rivers can not be declared as a legal person".